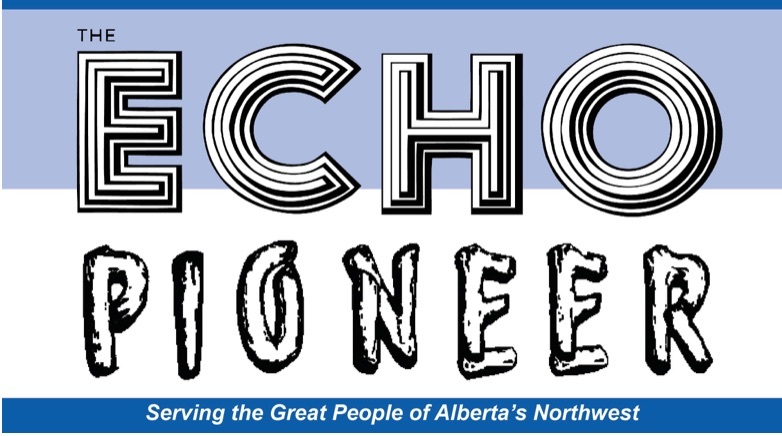 The Echo-Pioneer is a regional community weekly newspaper serving the municipalities of High Level and Mackenzie County, as well as providing regional news to Rainbow Lake, Paddle Prairie Metis Settlement, Dene Tha, Little Red River Cree, Tallcree and Beaver First Nations. The regional publication came into existence April 1, 2015, after the merger of two newspapers: The Echo, established in 1973, and The Northern Pioneer, established in 1976.
or our One year Subscription than includes online access to our previous issues. Welcome to our web site! The most recent edition of The Echo-Pioneer is available for online subscribers to view.